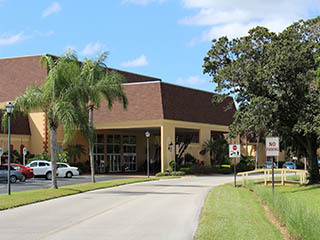 The Main Kings Point Clubhouse is 90,000 square feet of bustling activity. 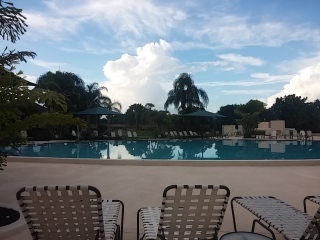 Clubhouse amenities include an indoor pool and spa, an outdoor pool with a large deck area for poolside parties and socializing, card room, billiards room, Internet café, art room, dance studio, as well as several hobby and game rooms. If you’re hungry, grab soup or a sandwich at Café Le Perk, serving continental breakfast and deli-style lunch options. The Veterans Theater inside this main community clubhouse is a multi-purpose venue for everything from club dances and parties to movie night on our movie theater sized screen. Join your friends, buy some popcorn, and enjoy a matinee or evening movie. Try our Dinner and a Movie event without having to leave Kings Point. On many nights a year it converts into an 850 seat theater that host performances by artists of every musical genre and several local theater productions. Tickets are purchased at the Box Office in the lobby. 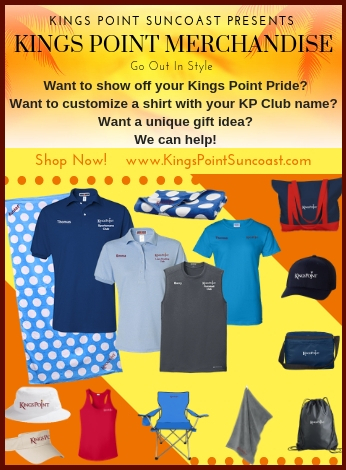 And if you have ever wanted to share your own talent on the big stage, Kings Point sponsors events for residents to act, sing, dance or otherwise entertain. The clubs and organizations offer a wide variety of activities that will ignite your creative spark. Try your hand at painting, lapidary, bunka, ceramics, fabric arts, and woodworking. Resident club instructors offer classes for beginners and intermediate skilled artisans in these and other fine arts. Resident-sponsored discussion groups on a variety of subjects, creative arts, book clubs, card games, music appreciation, bingo and formal and informal social gatherings of all sorts can be found both day and evening in this largest King Point luxury clubhouse.